Many job applicants wonder if their job offer is set in stone once it has been extended. Unfortunately, the answer is no. For the most part, employers can rescind a job offer for any reason or no reason at all, even after you’ve accepted their offer. So, what happens if you have already accepted a new job and the employer decides they don't want to hire you? Organizations can withdraw a job offer for virtually any reason, except a discriminatory one. However, there can be legal consequences in some situations. Why are employers so free to revoke a job offer? Because of employment at will. Most states, except Montana, have employment-at-will statutes, which allow employers to fire an employee under most circumstances. These laws are generally applied to rescinded job offers as well. When prospective employees fail criminal background checks, misrepresent their background or fail a drug test, there is often no legal recourse if an offer was rescinded based on those discoveries. 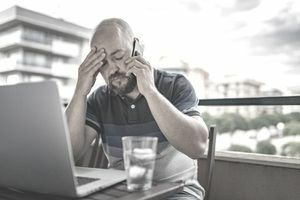 If an employer can justify revoking an offer because the company can't reasonably accommodate a disability, the company may also be able to rescind an offer to a disabled candidate. Moreover, organizations who can document changes in economic conditions, such as decreased earnings, are generally able to withdraw job offers without suffering any legal consequences. However, employers can't withdraw an offer for discriminatory reasons such as race, religion, gender, age or national origin, and job applicants may be able to obtain legal protection if they feel they have been discriminated against. As a precaution, candidates should wait until they have met all contingencies listed in a formal job offer before submitting a resignation at their current job, selling their home, signing a lease or incurring other moving expenses. In some states, candidates may have grounds for a lawsuit claiming damages if they suffer consequences as a result of a withdrawn offer. In these cases, the plaintiff needs to show damages, such as moving costs incurred or lost income from a job they quit after receiving the job offer. If you think you might have a case, you should consult a lawyer in your state and make sure that the attorney has won similar cases and is willing to be compensated on a contingency basis. It’s possible to do everything right and still wind up losing a job offer after it’s been extended, but there are things you can do to minimize the risk. Know your rights. For the most part, employers can conduct background checks, including credit and criminal history. However, the Fair Credit Reporting Act restricts how they can ask for and use the information. Also, some states and cities have further restrictions about what employers can and can’t ask during employment pre-screening. As of August 2017, 29 states prohibit employers from asking about criminal history. This “ban-the-box” legislation is intended to protect job applicants from discrimination. Consider getting it in writing. In an interview with The Balance, Mimi Moore, Partner in the Chicago office of Bryan Cave LLP, suggests asking if the job offer letter can specify what will happen if the offer is rescinded. If so, it’s important to be specific about any signing bonuses, advances, and moving allowances. Make sure you’re comfortable with the offer and the company. Moore says that this is most important. If the company has a bad reputation or the offer seems iffy, think twice before signing on the dotted line. Legally, companies can rescind most offers; practically speaking, good employers won’t get in the habit of doing so, lest they scare off talented workers. Have a backup plan. Taking a new job is always a risk, and it’s a good idea to have a plan in case things don’t work out. Would you ask for your old job back, pursue another lead, target another employer with your networking efforts? Busy as you are preparing for your new job, it pays to take a moment to think out what you’d do in the worst-case scenario. You never know when you might need a Plan B.